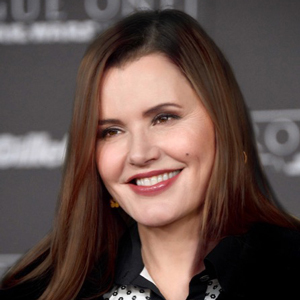 Academy Award®- winning actor and advocate Geena Davis and CreativeChaos vmg announced a partnership to produce a new untitled feature documentary on gender disparity in Hollywood. Set to direct the film is Tom Donahue, director of the Emmy-nominated HBO feature documentary ‘Casting By,’ which followed the evolution of casting in the film and television industries and raised awareness for the contributions of the casting director. As the Oscars and Hollywood continues to draw criticism for the lack of equal representation of gender and diversity, ground-breaking global research by the Geena Davis Institute on Gender in Media and J. Walter Thompson Company shows that female role models in film and TV are hugely influential in driving women to improve their lives. The research by the Institute and JWT finds that 90% of women globally feel that female role models in film or TV are important, 61% said female role models in film and TV have been influential in their lives and 58% said that women have been inspired to be more ambitious or assertive. Academy Award® winning actor Geena Davis and ARC Entertainment today announced the launch of the Bentonville Film Festival (BFF), a one-of-a-kind inaugural event designed to champion women and diversity in film. The Festival, which will take place from May 5 – 9 in Bentonville, Arkansas, will be the first and only film competition in the world to offer guaranteed theatrical, television, digital and retail home entertainment distribution for its winners. The first-ever global study on female characters in popular films, launched today, reveals deep-seated discrimination and pervasive stereotyping of women and girls by the international film industry. The study was commissioned by the Geena Davis Institute on Gender in Media, with support from UN Women and The Rockefeller Foundation and conducted by Stacy L. Smith (PhD) and her research team at the Annenberg School for Communication and Journalism at the University of Southern California. The investigation analyses popular films across the most profitable countries and territories internationally. Entertainment Industry Unites with Geena Davis Institute on Gender in Media to Improve Female Portrayals in Family Films. New Study Identifies Scope of Gender Inequity; Spotlights Barriers & Misconceptions; Unites An Industry. Get ready. Family films as we know them are about to change for the good. Entertainment media are a powerful cultural force, shaping public opinion and making a strong social impact. Yet, until now, no one has ever asked the male and female content creators to tell the cold, hard truth –– about why it is that women and girls are so grossly misrepresented in family films. Nor has anyone ever motivated and informed these influencers how to overcome barriers and misconceptions in order to find solutions; until now. When Oscar-winning actor Geena Davis began watching children’s movies with her young daughter, she noticed it was nearly impossible to find a family film with more than one or two female characters, and without negative images and stereotypes of girls and women. Instead of sitting back, Davis formed the Geena Davis Institute on Gender in Media to study and quantify gender inequity in children’s entertainment and to use the data to affect change from within the industry. GDIGM’s latest study, “Gender Disparity On Screen and Behind the Camera in Family Films,” by Stacy L. Smith, PhD and Marc Choueiti, was conducted at USC Annenberg School for Communication & Journalism. A recent study of the 100 top-grossing films of 2007 by the USC Annenberg School for Communication & Journalism found that females continue to be a large minority both on the screen and behind the camera. However, when women are decision-makers behind the scenes, the number of female characters in a film increases. The research, led by communication professor Stacy L. Smith and her team, showed that only 29.9 percent of the 4,379 speaking characters identified in the films were female, while 83 percent of all directors, writers and producers were male. Examining 15,000 individual speaking characters across G-, PG-, PG-13, and R-rated films, research by Dr. Stacy Smith of USC’s Annenberg School for Communication in association with the Geena Davis Institute on Gender in Media indicates that males outnumber females roughly 3 (2.71) to 1 on the silver screen. Dr. Smith and her team also examined 4000 female film characters and found that two types of females often frequent film: the traditional and the hypersexual.